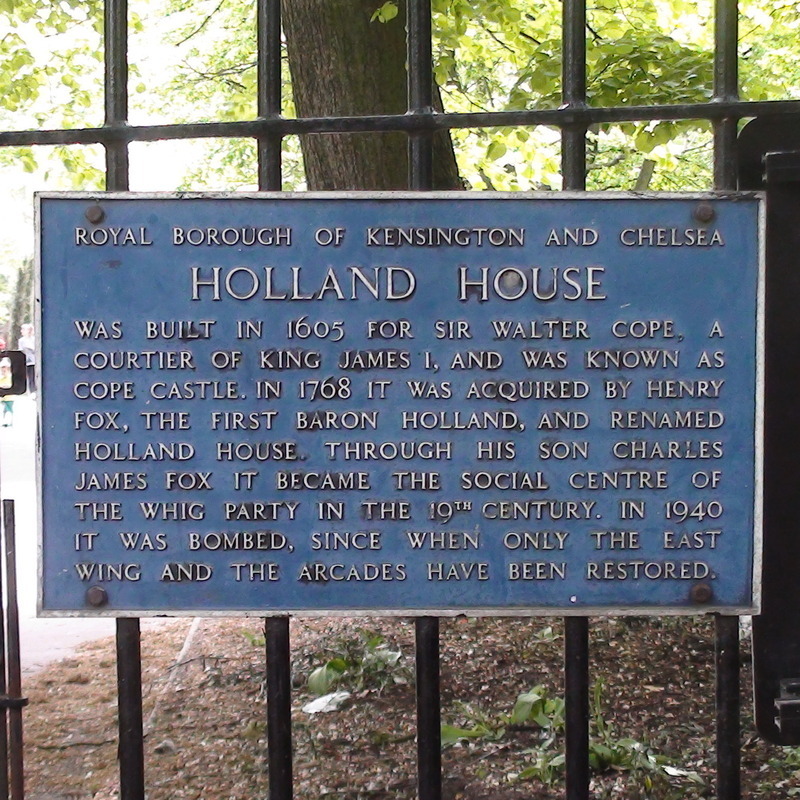 Holland House was built in 1605 for Sir Walter Cope, a courtier of King James I, and was known as Cope Castle. 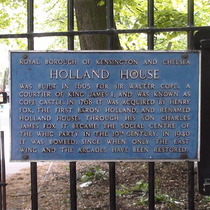 In 1768 it was acquired by Henry Fox, the first Baron Holland, and renamed Holland House. Through his son Charles James Fox it became the social centre of the Whig party in the 19th century. In 1940 it was bombed, since when only the east wing and the arcades have been restored. This memorial stone was laid by Geo. W. Taylor Esqre. J.P. 25th June 1889.